Arrg these damn hens, they do nothing but multiply! Of course, it was a bad idea to load them on board. Ahoy Jim Lad, ye get rid of them before they make us running out of space and make us feed the fishes! Game made in 72h for Ludum Dare 42: "Running Out of Space"
If you experience any problem, please let me know! One of the best ways to let off steam... Or just like blowing up things, either way such a fun and simple game! very fun and entertaining. the difficulty is just right. one of the better games i have played on here. controller support would be nice since trackpads are very bad with this game. 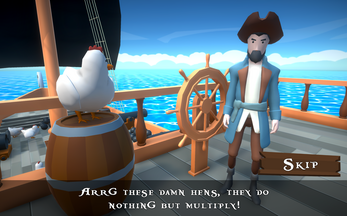 This was a really funny and well made game considering it was made in 72 hours. I had a blast playing it! Had fun with the game, it's pretty fast paced and fairly difficult. I think that the game is done very well and has just the right level of difficulty where it is challenging and fun at the same time. It was very interesting, great expirience. How did you link the game buttons with social media? I mean, how do you add links to ingame buttons? In addition, how have you done the starting scenes? With cinemachine? How are eggs being spawned? 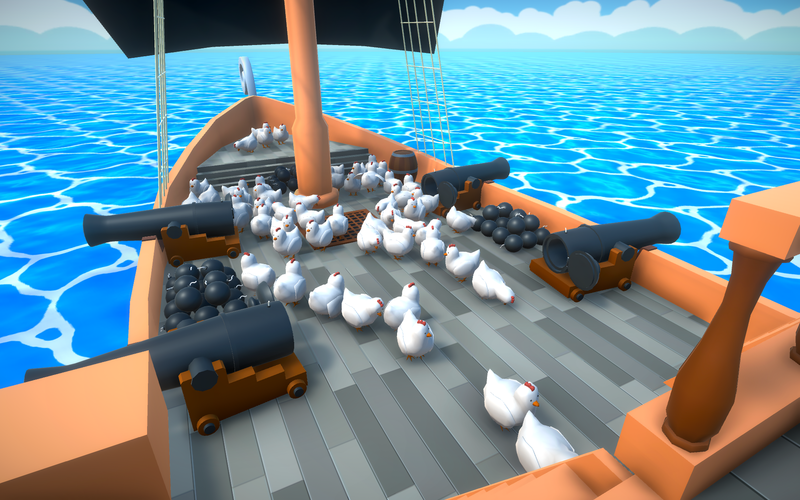 Do the chickens spawn by themselves those? ARGH LADDIES! Welcome aboard the ship! In this game you have to manage the deck and swab the hens and chickens off whilst they are rebreeding! It's fun laddie, you can do it! This game was very very fun, funny, and unique! Had fun playing it! Small game but definitely a time killer. 10/10 Would Recommend! A lot harder than I originally thought, but was glad to actually go hands on! At first i wasn't mindful enough and thought that i should throw then in the ocean. 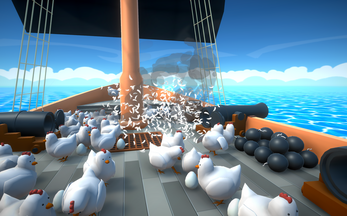 But after 2 min of hen throwing i noticed that they fly back at ship. 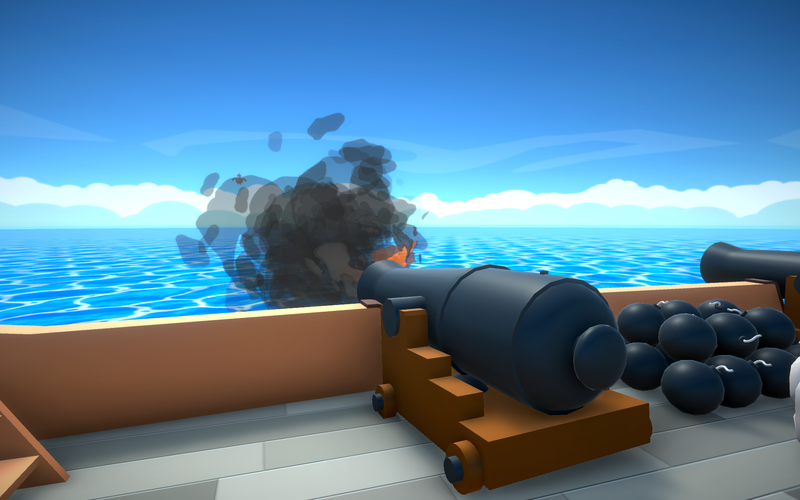 On linux render bad... but is playable a bit... simple and fun! good work! This game is so ridiculously stupid, that its amazing. (Thats a compliment). Love it! It's amazing how such a simple game can be so much enjoyable! Cool game I gave a go. awesome game very fun and really funny also like the idea hope to see more in the future!! 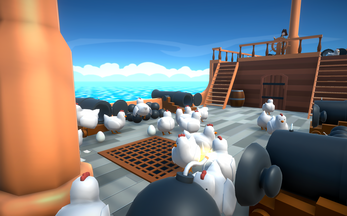 I absolutely loved this game, If there were some updates, maybe with enemy ships that you need to shoot the bombs or hens onto to beat them, then that is the only way it could possibly get better. Keep up the good work! Very much enjoyed your game! It's got a lot going on for it with opportunity to expand even still in difficulty. Would love to see a 2nd level where the ship is in a storm and the eggs roll around for example. I featured the game on my channel. I hope you enjoy the video.